A monkey who wants to keep his feet on the ground – very unusual!! 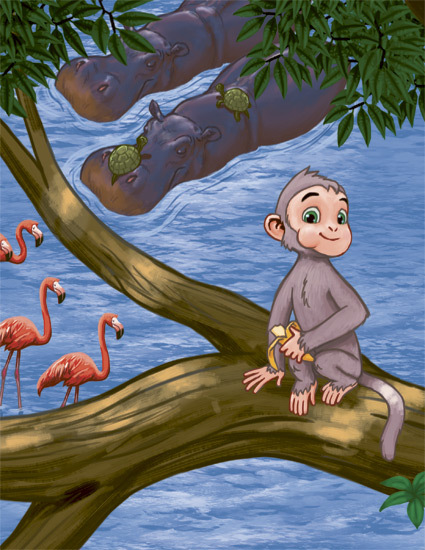 Malik is a typical little monkey – he loves to swing through the jungle trees with his friends. But unlike the other monkeys Malik also wants to dance – if only he knew how! In fact, Malik loves nothing more than watching the beautiful flamingos dance their special ballet dance. 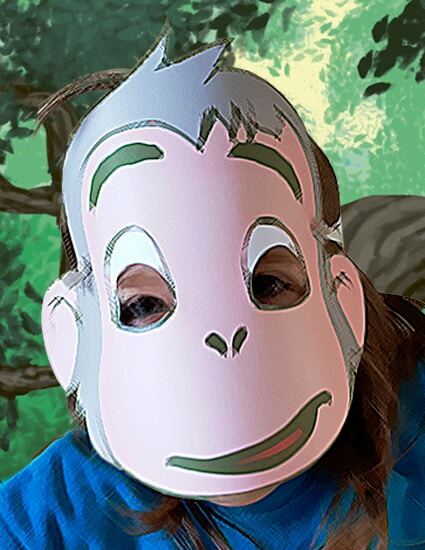 But monkeys aren’t supposed to dance – they’re supposed to swing like acrobats through the trees. 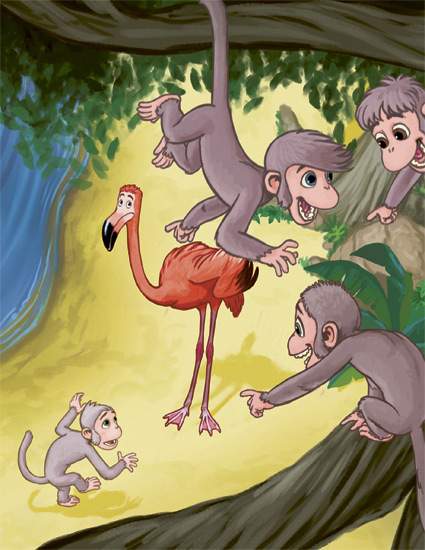 So when Malik plucks up the courage to ask the flamingos for dancing lessons, the other monkeys laugh and make fun of him. Determined to do what he loves, Malik soon learns the importance of staying true to himself and the joy of following his dreams. 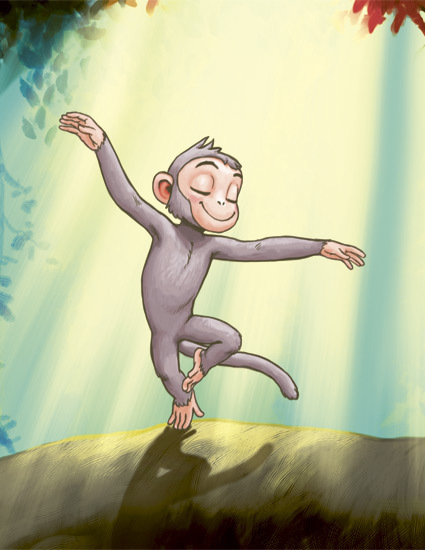 I can’t wait for you to meet Malik, the little monkey who loves to dance … if only he knew how! 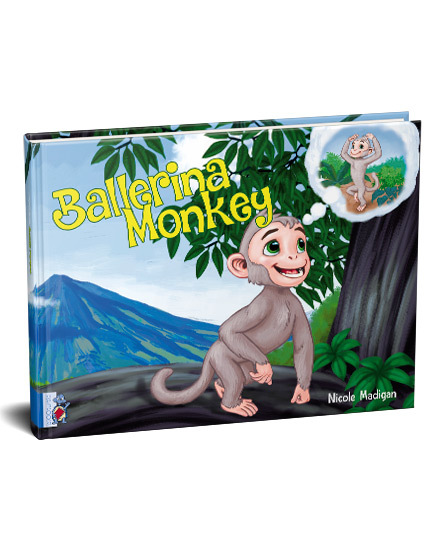 Inspired by my own three children and their diverse interests and personalities, Ballerina Monkey follow’s Malik’s journey, as he finds the courage to follow his dreams, despite the taunts of the monkey tribe. Filled with determination and heart, Malik soon discovers the joy of being true to yourself. I hope you enjoy reading his story as much as I enjoyed writing it! 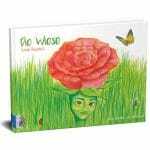 A wonderful book for children aged 4-8 years which shows that sometimes you just need to follow your dreams, no matter what the others say.